The MY2019 Suzuki Intruder has been launched in India, with prices starting at .08 lakh (ex-showroom, Delhi). 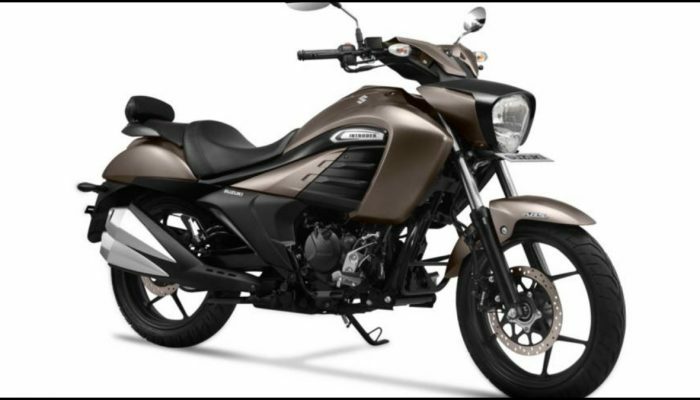 The entry-level cruiser motorcycle from Suzuki will now be available in a new Metallic Matte Titanium Silver paintjob. Apart from the addition of a new colour option, the 2019 Suzuki Intruder will also feature a small-sized backrest for the pillion rider and an updated gear shift design and brake pedal to improve the ergonomics of the bike. A few other features available on the Suzuki Intruder include an LED tail light, LED position light, fully digital instrument console, single-channel ABS, telescopic forks at the front and a monoshock suspension unit at the rear. Powering the Suzuki Intruder is a 155cc, single cylinder engine that is capable of producing 14.6 hp at 8,000 rpm and 14 Nm of torque at 6,000 rpm, sending power to the rear wheel via the five-speed gearbox.